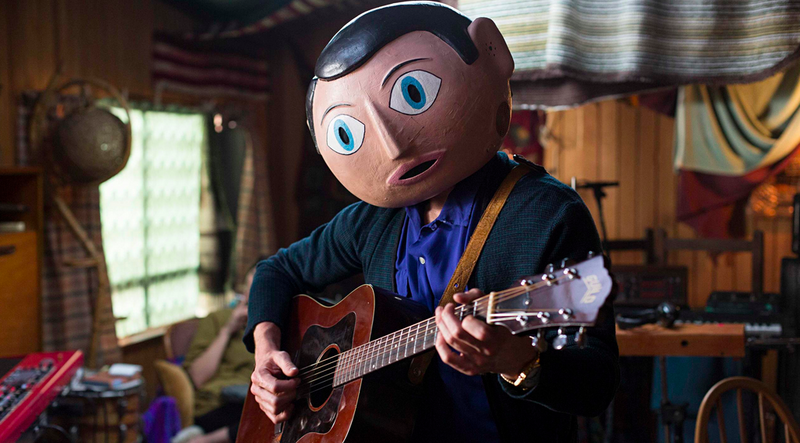 Irish filmmaker Lenny Abrahamson has taken the novel route of having the handsome Michael Fassbender conceal his performance from the neck up with a giant head mask in the titular role. What could easily be a one-joke novelty is used to explore the artistic process of tortured musicians and lightly delve into aspects of mental illness. While Fassbender's really offbeat, quietly captivating, and physical performance shines, Frank follows Domhnall Gleeson's daydreamer Jon as he joins a ragtag musical band (the unpronounceable "Soronprfbs") of eccentric misfits. The film so thoughtfully captures all the elements of being in a band with the strange relationship dynamics, delusion, and sense of longing. The music is good enough to understand the characters' ideas of grandeur and unfocused enough to reveal its manic artistry. What's also interesting is Frank's use of social media in its storytelling as visuals are inserted to capture Jon's narcissistic postings on Twitter and YouTube, chronicling the recording process and the band's journey. Jon is somewhat of a unlikely protagonist/narrator with a flawed, selfish vision, where Scoot McNairy and Maggie Gyllenhaal's idealist pessimism balance Fassbender's innocent affability. Jon's rather upbeat yet comical naivety spark a strange counterbalance of tragic humour and compassion throughout all the characters. Written by Jon Ronson and Peter Straughan, loosely based on Ronson's own experiences with the real-life Frank Sidebottom, Frank is full of eccentricities and quirk without the sentiment as it navigates damaged souls, explorations of artistry, and musical inspiration. It's contemporary lens going from rural England to scenic Ireland and bustling Austin, Texas to middle America fills it with the necessary charm to offset the dark humour of its tortured characters. It's a rather amusing and affecting portrait of musical madness and spirit.